The following is a compendium of known sprinkler saves in medium and high rise residential buildings in the United Kingdom from 2003 to the present day. Loud explosions sounding like gunshots woke tenants in the council-owned block in Orkney Walk, Corby, at 1.30am yesterday. A sprinkler system helped contain the blaze until fire-fighters arrived. But three people, including a young girl, were treated at the scene for smoke inhalation and shock. John-Stewart Collie, 62, who lives in one of the flats, said: “I heard a big bang and didn’t take much notice. Then there was another explosion and I heard a bit of commotion. “I looked out and saw the flames. I then saw the state of the fire, ran straight out and banged on everybody’s door to get them out. “The firefighters said the bangs were probably aerosols popping.” Sarah McCowatt, 23, escaped from her first-floor flat with three year-old daughter Kyia South-McCowatt. She said: “I was in shock and my legs were shaking when we got out. I was dozing, just starting to go to sleep, when I heard the bangs”. It is also reported that all occupants safely vacated the building upon alert to the fire situation. 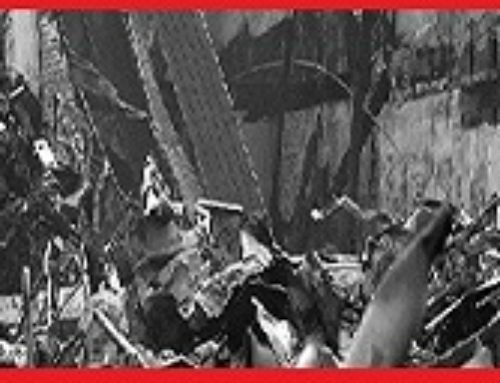 Simon Hill of Avon Fire and Rescue Service has notified that at just after half past eleven on the night of 21st August 2011, a fire occurred in a flat on the 6th floor of the Robinson Building, residential development in one Bristol’s former landmark industrial buildings. Two sprinkler heads on the BS9251 system actuated to control what appeared to be a multi-seated fire. The sprinkler system restricted the fire so well that only 5% of the flat was damaged and the fire was classified as ‘out on arrival’. The fire was attended by three pumping and one aerial appliance and the 14 personnel had little to do though there was some light water seepage to the flat below. No one was injured as a result of the fire with the occupier evacuating the flat due to the incident. At 08:11 on the morning of Tuesday 31st January 2012, West Midlands Fire Service crews attended a fire in a 6 storey block of student accommodation in Bagot Street, Birmingham. A fire had occurred in the kitchen area of one of the student ‘pods’ in the recently built block. The design of the accommodation is such that up to seven students live together. There are seven bedrooms with en-suite facilities and a communal lounge and cooking facilities. Each floor comprises a number of ‘pod’s, each accessed from the main corridor/ means of escape. The fire was discovered to be ‘Out on Arrival’ as one head of the sprinkler system had activated and extinguished the fire. Crews were engaged in some clear-up work before leaving the scene and some smoke damage occurred inside the common living space within the ‘pod’. Thanks to London Fire Brigade for the following information concerning a sprinkler save in a property housing student accommodation. At 20:37 hours on Monday 30th December 2013 a call was received to a fire in a kitchen at student halls of residence in Lebus Street, Tottenham, London. Two appliances were mobilised to the incident. When crews investigated they found that there had been a cooker fire in one of the accommodation units. The fire had been extinguished by one head of the sprinkler system and no fire-fighting action was required by crews who attended. At just before 19:45 on the evening of Monday 3rd February, a kitchen fire occurred in a pan containing cooking oil at a medium to high rise accommodation block for nurses and doctors in Grosvenor Way, Wandsworth, London. A single sprinkler head, situated in the kitchen of the Towns mains fed residential sprinkler system actuated to control the fire. Two fire crews attended but were not required to take any further fire-fighting action. Fire damage was recorded as less than 5 m². A fire occurred at about 21:00 hours on 26th March 2014 in a flat at Canalside, Redhill. The occupier became aware of the fire due to his smoke detector actuating. The cause of the fire was that he was engaged in recycling candles by melting them down in a pan on his cooker. He initially used water on the pan which created a fire ball which activated the sprinkler system. The fire was extinguished quickly though there was some water seepage. The Officer in charge told me the fire was extinguished efficiently by the sprinkler. Cumbernauld House is the former headquarters of Cumbernauld Development Corporation but when that organisation vacated it was converted into residential apartments. During the conversion, residential sprinklers were installed. It is reported that on the 14th October 2014 a fire started in one of the apartments when a candle, located in a bathroom, apparently disintegrated setting fire to nearby towelling. It is understood that this fire was extinguished by the sprinkler head located in the bathroom. NOTE: BS9251 advises that bathrooms with an area of 5m² or more should be sprinkler protected and this was so in the case above. The recent revision however suggests that an assessment of the risk present should also be made and it is well known that fires quite regularly start in bathrooms, with candles being a major ignition source. On Friday 14th November a cooker fire occurred at a block of flats at Baring Road, Lewisham, London when the family in flat 12 went out leaving the cooker hob turned on. One sprinkler head in the kitchen activated and extinguished the fire. Fire damage was limited to the room of origin as seen in the photo. On around the 18th November 2014 fat pan fire occurred at an apartment block at Waterside Heights, London. 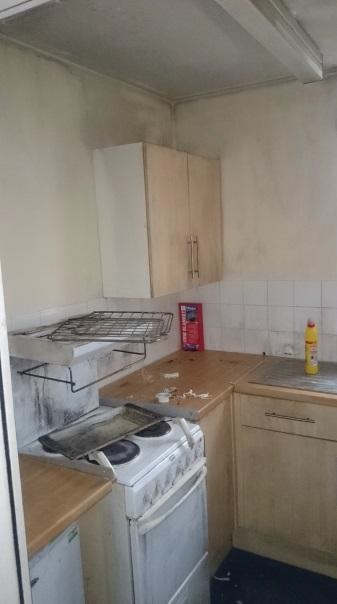 The tenant is reported to have tried to move the blazing chip pan but due to the heat was unable to keep hold causing the pan and contents spilled causing burns to the carpet. Fortunately, one sprinkler head in the room activated and extinguished the fire. Fire damage was limited and, though the tenant was shocked they fortunately suffered no serious injury. The incident above once again shows, contrary to some understanding, that sprinklers CAN safely and efficiently deal with fat pan fires. At just before 1:30 pm on Sunday 16th November 2014 a fire occurred in a microwave oven in a student flat on the 10th floor of Richmond House, a mixed height non-cluster type development in Southampton city centre. One sprinkler head activated due to the fire and the 215 occupants were safely evacuated. Fire damage was reported to be limited to 10m² in the affected flat. One issue that arose was that staff were unsure as to the location of the stop valve which meant a delay in turning off the tank and pump fed water supply to the sprinkler system. The NFSN urges all users of building which have sprinkler systems to familiarise themselves with the location of sprinkler isolation valves which should only be operated by fire service personnel once they are assured that the fire has been extinguished. breaker which feeds the electrical heater. I replaced the activated head, and checked the adjacent head because the cover plate had come off. I then refilled the system and checked the alarm, I also checked the pump and tank. Everything was then up and running. Cleaners were already on site hoovering up. A lick of paint after the dehumidifiers have been on and you’d never know there’d been a near disaster”. At about 15:45 on Tuesday 16th June 2015, a fire occurred in the kitchen on the 4th floor of a 5 storey block of flats housing homeless persons in Motherwell. 3 pumping appliances were mobilised to the incident and 2 Breathing apparatus wearers were committed to ventilate but no fire-fighting action was recorded as the fire had been doused by the blocks sprinkler system. On Wednesday 19 August 2015 at 10:52 crews were called to an incident of a 12 storey purpose built block of flats (circa 2004). On arrival crews saw water running from the balcony of a flat on the 4th floor. Shortly after it was discovered that smoke was emitting from the building. On investigation crews found that there was a fire inside flat 14 on the 4th floor of the building..
A fire had occurred within the kitchen of the two bedroom property and a domestic sprinkler head had actuated within the room of origin and appeared to have suppressed the fire leaving the flat lightly smoke logged. Crews attempted to isolate the sprinkler. They had to isolate the supply in the basement of the block, which had the effect of cutting off the entire water supply to the building. Unfortunately, two other flats were damaged by water ingress due to the sprinkler actuation. This is another great example indicating the benefits of sprinklers within domestic premises and how it prevented the development and spread of fire within the flat where the fire started. A potentially devastating kitchen fire was stopped in its tracks thanks to a sprinkler system fitted through the Service’s matched funding scheme launched by ECFRS in 2014. When a chip pan caught light on the hob of a flat on the 13th floor of the Parkside Court tower block just after 8pm on Sunday March 27 the sprinkler system activated dousing the flames and containing the fire to the kitchen where it started, preventing the blaze from growing and spreading. Under the scheme Essex County Fire and Rescue Service contributed £50,000 towards the cost of installing the sprinkler suppression system in May 2014. CHP paid the remaining £120,000. Divisional Officer Mark Earwicker, Technical Fire Safety, said: “This shows just how valuable sprinkler suppression systems are. This fire could easily have spread and caused a huge amount of damage to a number of flats and even have risked lives but because the sprinkler activated it was contained to the kitchen. “In this case the sprinkler system did exactly what we knew it would: contained a fire and minimised damage in the block. 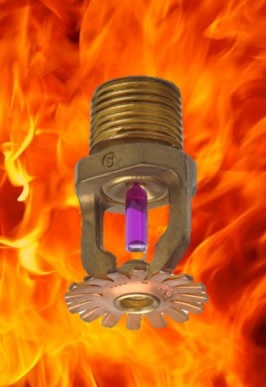 Simply put sprinklers provide the best fire protection available. They are proven life savers, there are no recorded cases of multiple fire deaths in premises where sprinklers are fitted. Graham Thomson, CHP Surveying and Contracts manager, said: “We are pleased that the sprinkler system worked as it should and prevented the spread of, what was originally a minor incident, from becoming a major problem. At 17:42 on Saturday 5th March 2016 London Fire Brigade received a call to a report of fire in a 9 storey block of serviced apartments in the Borough of Westminster. 4 pumping appliances were mobilised. On arrival is was noted that the high pressure water mist suppression system (designed to NFPA Standards) within the reception area was activating and it was subsequently seen from CCTV footage that flames had emanated from ducting within that area. The seat of the fire was located as an air conditioning unit contained within an adjacent store room and that the fire had spread through about 5m of ducting into the reception area. The heat and flame produced was enough to actuate all 3 ‘sprinkler’ heads at ceiling level above the reception desk. These heads extinguished the fire at the outlet and prevented the fire spreading. The fire within the ducting had burnt out. Fire crews exposed the ducting fully to check for fire spread but no further extinguishing media was necessary. At 11.24 on Thursday 8th September 2016 a fire occurred in a fridge/freezer in a flat at a 9 storey block in Thurmaston, Leicestershire. 2 sprinkler heads operated to contain/control the fire which FRS crews extinguished using hose-reels. West Midlands Fire Service report that there was a successful suppression system activation which partially extinguished a fire in the ground floor bin room of a 10 storey block of flats in Millmead, Woodgate, Birmingham on Wednesday 13th September. Full extinguishment with 1 hose-reel and ventilation of some of the upper floors was carried out by attending crews. Tyne and wear F&RS personnel used 2 Breathing apparatus, hose reels and Positive Pressure Ventilation (PPV)to ensure the fire was fully extinguished and wet and dry vacuums to clear water spillage from the building.